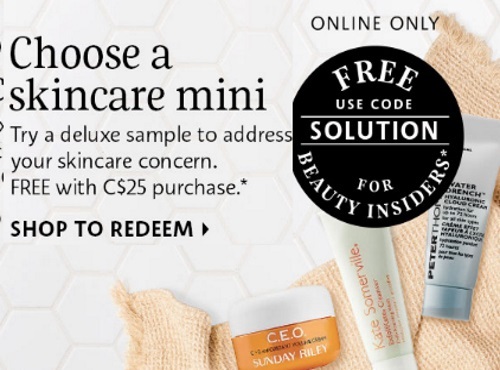 Choose a skincare mini deluxe sample to address your skincare concern Free with any $25 purchase online! Enter the promo code SOLUTION at checkout. Offer valid for a limited time while quantities last.